Tidal Bathing Beach Costume Show. Washington, D.C., 1921. 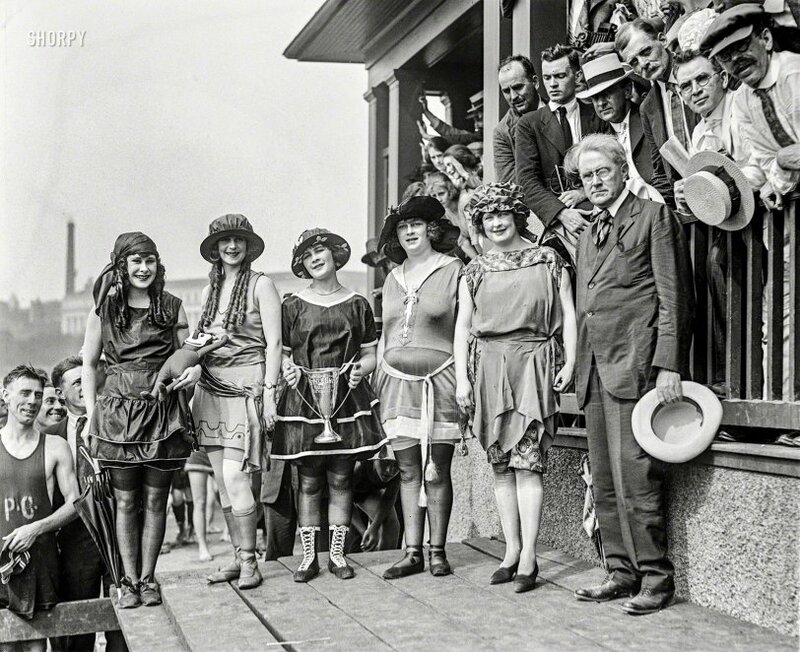 "Bathing Beach costume contest." At left we have Iola Swinnerton, First Lady of Shorpy in perpetuum; the others are plebeian ciphers spared total invisibility only by the grace of her luminous beauty. View full size. Submitted by Louan on Sun, 02/26/2017 - 9:02am. Agree with his post up to a point. Viewing past Shorpy images I am so happy to be living in the "here and now". I am 74 and I belonged to the generation that changed a woman's view of who we were and what we wanted to change, starting with what we wore. My mother took my older sister and me shopping in Pittsburgh, Pennsylvania. What I noticed was the uncomfortable clothing that was required, hat, high heels, gloves, as acceptable. I was a tomboy to the "umpth" degree and wore jeans when in my home and the little town we lived in. I now live in Texas and just viewing the heavy clothing women wore back in the time makes me break out in sweat. I do believe I got my attitude from my mother, who was a trendsetter in her generation. Submitted by noelani on Fri, 02/10/2017 - 2:02am. The bathing beauty pictures are among my favorites, here on Shorpy and it's SO nice to see a new one! Iola looks beautiful! The one "model" needs a lesson in posture, but the rest look pretty good! Submitted by tucson55az on Thu, 02/09/2017 - 9:34pm. What gets me is women were allowed to look "normal" back then. No Pilates, yoga, Zumba, endless diets, botox, spa treatments, etc. They look like the women I see at the supermarket with two kids in tow, standing in line at the bank, the doctor's office. This is what the vast majority of women look like. Submitted by JSStewart on Thu, 02/09/2017 - 9:17am. Looks like a doll version of a beloved comics character in the arms of babe #1. Submitted by T.Tommy on Wed, 02/08/2017 - 10:54pm. Back then they were "bathing" rather than "swimming". 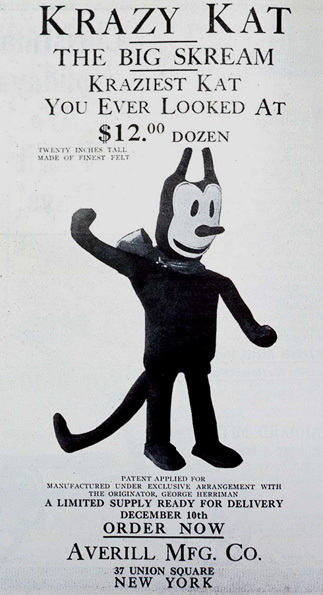 But Jantzen was working to change that with "The Suit That Changed Bathing to Swimming" introduced around 1920. Submitted by Richietwo on Wed, 02/08/2017 - 9:34pm. The Johnny Depp line of bathing suits looks nice on the first contestant (and winner) on the left. Submitted by Alan_Flor on Wed, 02/08/2017 - 8:42pm. A lot of times I think I was born too late. This is not one of those times. Submitted by rhhardin on Wed, 02/08/2017 - 7:44pm. Normal appearance back then was that everything still needed ironing. Submitted by KathyRo on Wed, 02/08/2017 - 7:14pm. It looks like all these ladies are wearing some type of hose. Would have been common for swimming? Or was it just for the sake of the competition? Submitted by lindab on Wed, 02/08/2017 - 6:47pm.